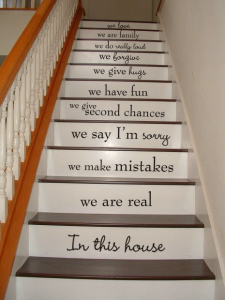 If you are like me, you are always looking for different ways to leave your “mark” on your home. 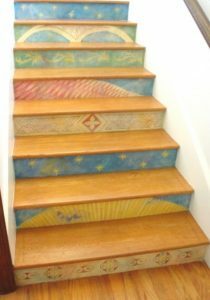 When guests enter your home you want them to know and feel your personality from the time they arrive until the time they leave. 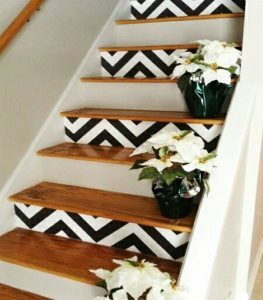 One way to do this might be to Jazz up that staircase. 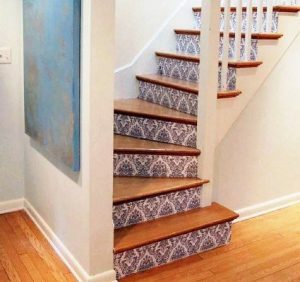 Sure you can go with your traditional carpet, oak treads with oak risers, or oak treads with white painted risers and add artwork to the walls, but maybe you want to really mix it up. 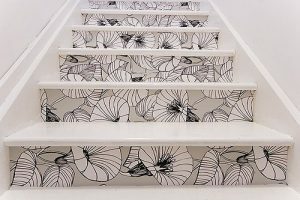 There are the stair risers and treads, and there is also the stair railing. 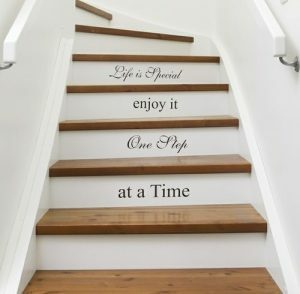 This week let’s start with the stair risers and treads and all of the different options available and next week we will turn to the railing systems available. Traditionally the staircase was just a means between two floors so how it was finished really didn’t mean anything. 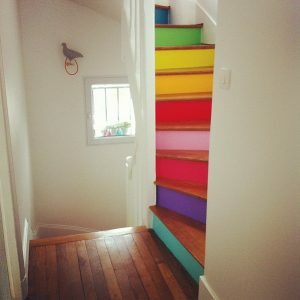 It is usually overlooked until after the rest of the home has already been decorated as it is a complete afterthought. 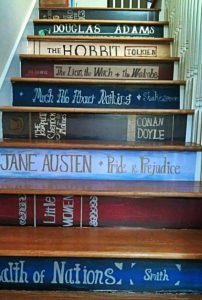 Maybe it is time to add some personality to that staircase. 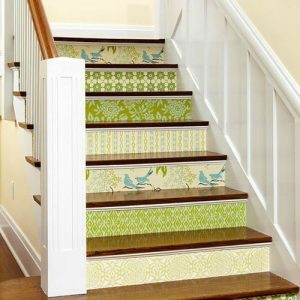 Whether your staircase is small and confined or large and wide open, there are ways to add color and/or visual interest to transform them into more than just a simple staircase to…..somewhere. Maybe you want to really make them pop to make a bold statement. Paint is a great place to start, and I am not talking about the walls. 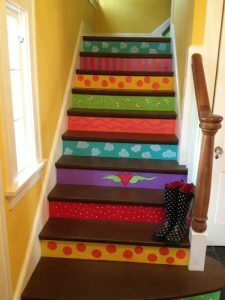 You could paint each riser a different color or you could add some stripes or shapes. With paint there really is no limit……other than your imagination. Maybe you want to add some simple words of inspiration that your family and others can live by. 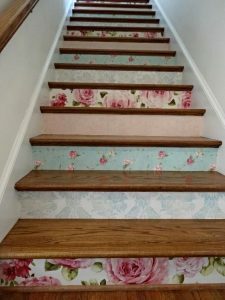 Or maybe you don’t feel like you have the artistic ability to paint your staircase so maybe you just want to add some personality with wallpaper. Wallpaper is a great way to apply some really beautiful visual effects with very little effort. Regardless of which approach you take, take a chance and let those who know you…..really get to know you. 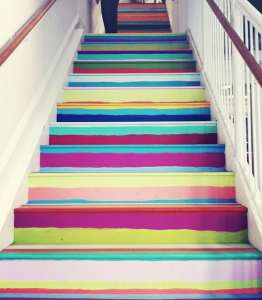 Express your personality and you will smile every opportunity you get to walk those stairs. If you feel this is too much to handle but you would love to give it a try, give us a call and we will be glad to help you however we can. Remember, have fun with it!! !